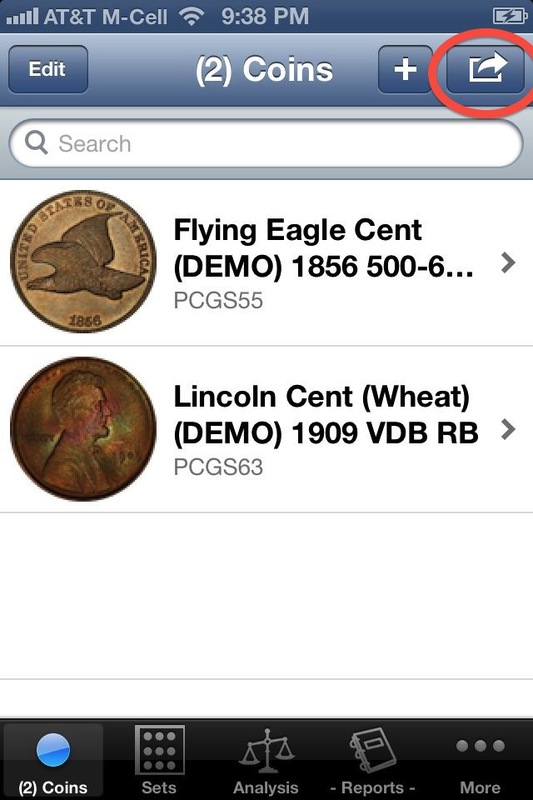 Once you get started adding new coins to your collection, you will quickly notice that finding new Coins in the main collection view becomes more difficult. To help with this, we've added an option to Sort the collection. To sort the collection, first click the Action menu, which is the top right-most menu item found on the collection view. The image to the right shows the collection view, with the Action menu circled in red. Touch this item, and the Collection Actions view is displayed. At the top of the list of Actions, you will notice an option to "Sort the Collection". 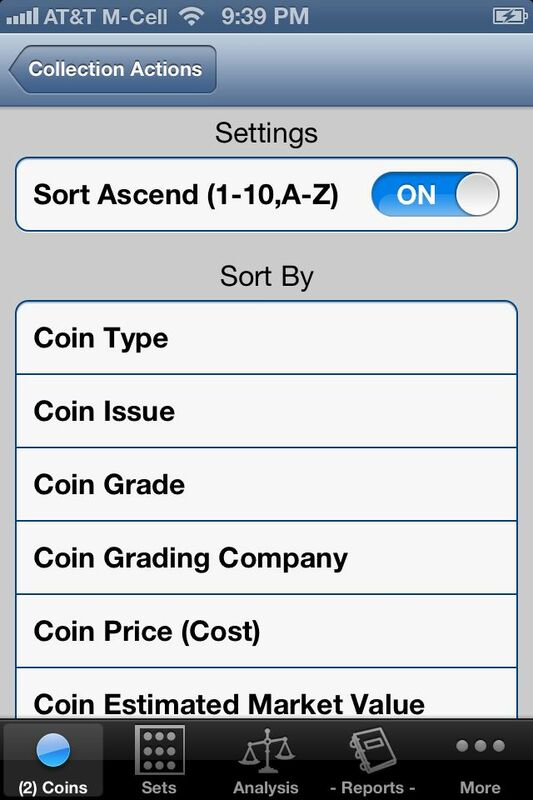 This will bring up yet another view, this one showing the Settings and Sort By options for sorting your coin collection. 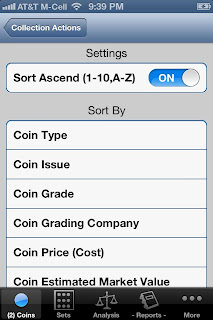 To sort by Coin Type, select "Coin Type". That's it, now your collection is sorted by Coin Type. Hope this helped, please leave comments if you have any questions, suggestions, or other feedback on how Sorting works in our App's.